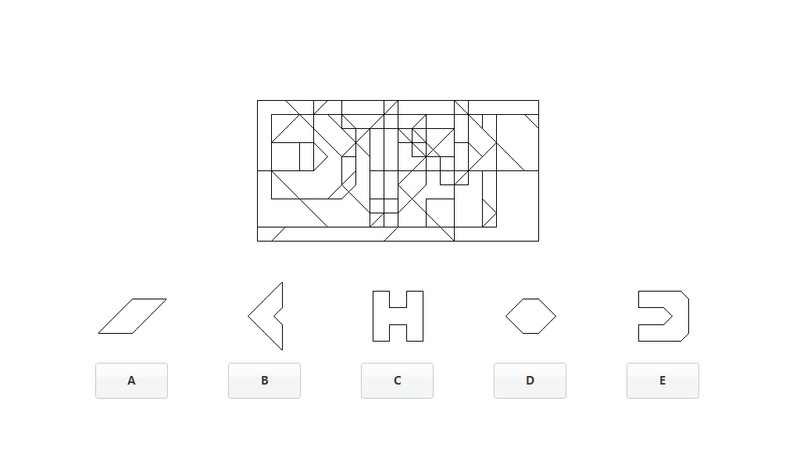 Shape Recognition Test requires you to recognize a certain reference shape embedded within a complex search pattern as quickly as possible. Several plain geometrical reference shapes and a complex search pattern are introduced with every new task. Only one of the reference shapes will be embedded in the pattern and your job is to find out which one. Be advised the reference shape might be crisscrossed by lines of the pattern.